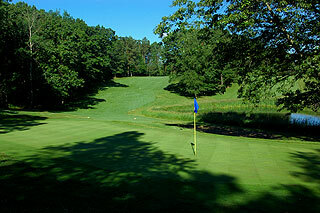 Whispering Pines Golf Club in Pinckney, offers an exceptional golf experience to players of all ages and skill sets. A variety of four different tee boxes play from 4583 to 6372 yards, allowing a fair challenge for beginners from the forward tees, and a true test for experienced players from the tips. This layout, built on a rolling terrain and seriously tree lined, offers an exceptional golf experience and is Livingston County's best kept secret. Four sets of tee boxes play to distances and slopes measuring 6372 yards / 136 slope, 6051 yards / 125 slope, 5408 yards / 123 slope, and 5483 yards with a slope of 119 for ladies' playing from the forward tees. As the score card indicates on this fairly short course, the challenges come from the shape of the holes not the distance. Tightly tree lined landing zone with significant doglegs, rolling, sloping fairways, strategically placed water hazards and greenside bunkers do not allow much room for errant shots. From the tees, golfers are challenged to use a variety of clubs, with accuracy preferred above distance. 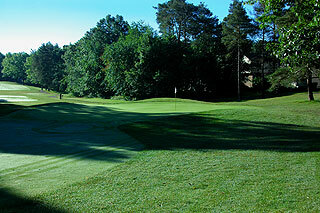 Fairways are tightly tree lined and undulating with steep slopes causing uneven lies in many cases. On the approach there is not much opportunity for bump and run play. 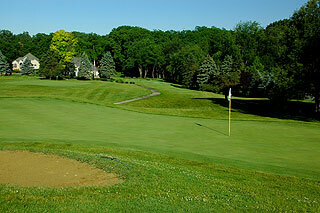 Many of the green complexes are raised and well guarded by mounding, water, and sand bunkers. 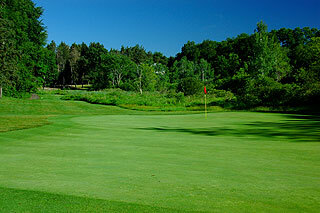 The putting surfaces are medium paced and some are exceedingly sloped, placing a premium on golfer's abilities to place their approach on the proper portion. 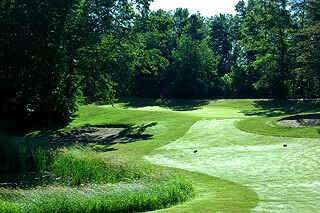 The course is well marked with yardages to the center of the green from the cart path and middle of the fairway at 200, 150, and 100 yards. Fairways with blind shots from the tee feature white targeting poles. 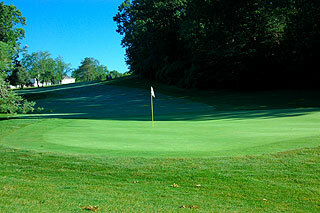 Markers on the flag sticks indicate a front, middle, or back pin position on each green. 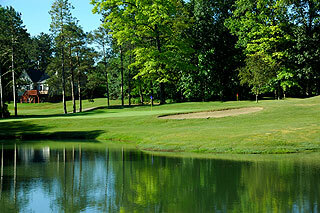 Water comes into play on eight holes, and there are 29 bunkers situated mostly near the greens. The clubhouse amenities include a fully stocked pro shop, full bar, The 19th Hole Bar and Grille, a fitness center, and banquet facilities. Banquet facilities are on the 2nd floor feature three elegant rooms used for weddings, outings and banquets, and a large balcony with views of the 18th green and 10th tee. The fitness center offers affordable annual passes for use of advanced fitness equipment including Nautilus Machines, free weights, and cardiovascular machines .There is no driving range on property, but there is a large practice green used for chipping and putting. This lush green course is very well maintained for the price with manicured fairways and gorgeous views from tee to green. We highly recommend this course. 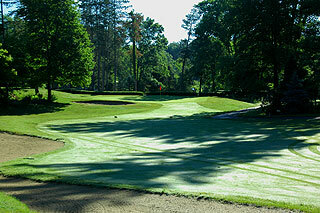 Check out the Two Guys Who Golf detailed information page for Whispering Pines - click here.